From render cleaning to gutter cleaning - we have you covered in Sutton Coldfield and Birmingham for all your external home cleaning needs - we can even clean your internal windows if you require. 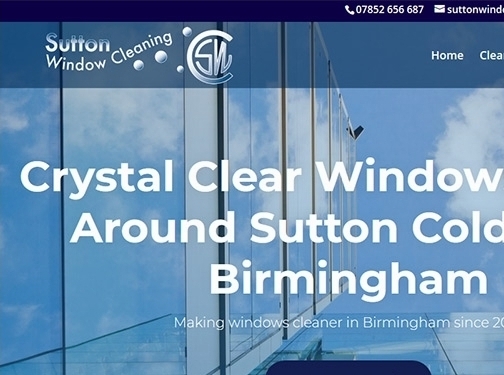 UK (Birmingham) based business - established over 10 years' ago - providing window cleaning services. Website includes details of services provided, work examples (via gallery), associations, testimonials, full contact details.